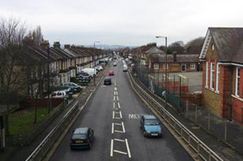 Highways Magazine - Is the funding review fair? When things get too much for rocket scientists or brain surgeons, perhaps they say to each other, ‘come on guys it’s not local government finance’. Or perhaps not. Either way, the situation is a complicated one. The review has already been labelled a ‘stitch-up’ by Labour dominated Northern cities and metropolitan councils, who have accused the Government of using it to push forward plans that would redistribute cash to their heartlands.